Microsoft Access MDB / ACCDB viewer is an excellent standalone portable tool to open & read .accdb & .mdb files without the support of MS Access. It also supports to open MDF file which is the Access older version file format. ACCDB file format is created in Microsoft Access 2007, 2010, 2013, 2016. 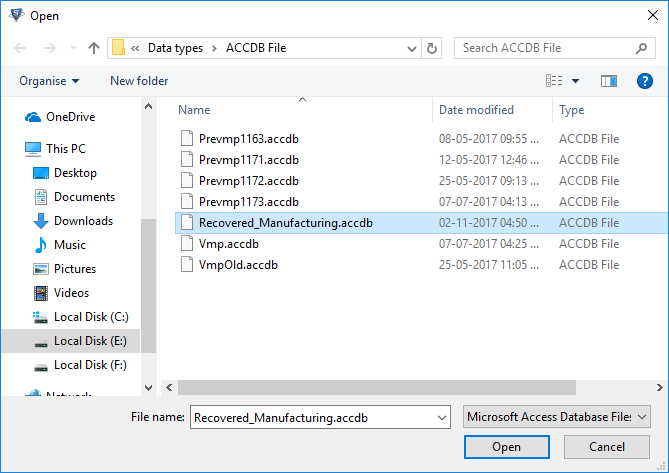 Open & View MDB / Accdb files without Microsoft Access installation. Scan and Load the Access database file after adding to accdb viewer. Support to Windows 10 & all earlier versions. 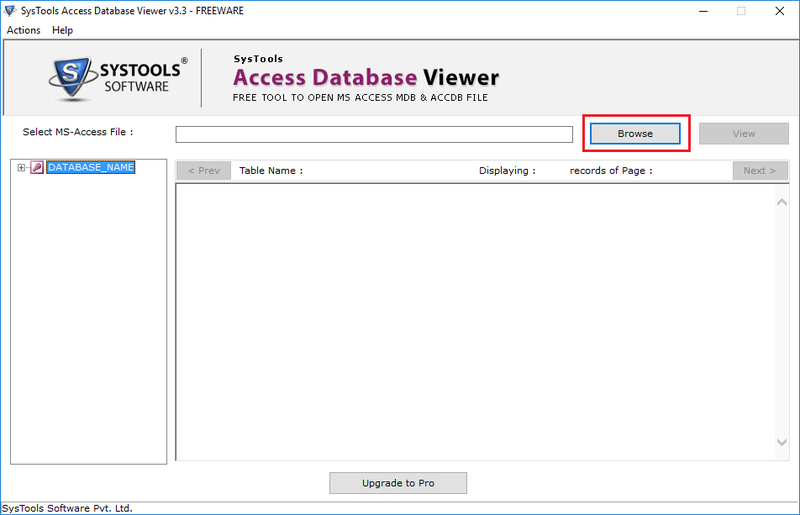 The selected database file by Microsoft Access Database Viewer is automatically gets scanned and loaded in the software to provide its preview. This MDB Viewer tool can open & give preview the database of any size as there is no limitation on file size. 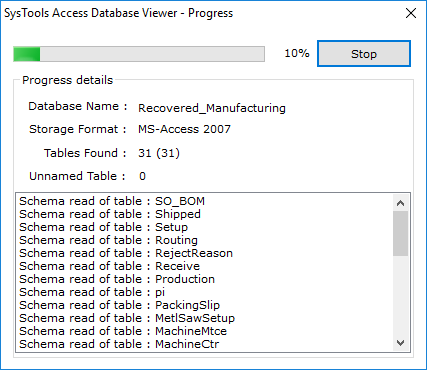 Access database file viewer has an advanced technique which provides the preview of access corrupted database MDB or Accdb file also. 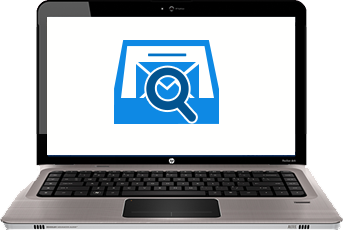 There is no issue if the selected file to open and read is healthy or corrupted less or high). The database file MDB or ACCDB can be easily opened and viewed without need the installation of Microsoft Access. This accdb viewer is a standalone tool so that there is no requirement of any external applications to open & read the access database file. This software allows to open and view access database MDB & ACCDB files. It supports for all versions of Microsoft Access 2016 / 2013 / 2010 / 2007 / 2003 as MDB file belongs to the older versions and for the new versions accdb is supported. The selected database consisting tables will be previewed completely with all column names and its values. The preview of consisting tables lists will be displayed on the left panel and by double clicking on the table name, the complete preview of table contents will be shown. The Interface of software is very simple so that it can be easily handled by its users. Every functions is very well defined in such a way that even a non technical user can also run the software smoothly. "I had few database files which is in .mdb format which was created from Microsoft Access 2000. Now I am using Access 2013 but wanted to open the earlier created mdb file but failed. I found Microsoft Access MDB viewer which make me to view the contents of that MDB file." "While I was working in my database, some viruses attacked my database and all the existed files got corrupted which makes it inaccessible in application. To open & read the contents of all files in database, I used Access database viewer which satisfactorily shows all data. I would like to thanks to its development team." What is MS Access Database? What is the need of Access Database Viewer Tool? The MDB file created in Access 2003 & earlier versions cannot be opened in new editions of Access database. 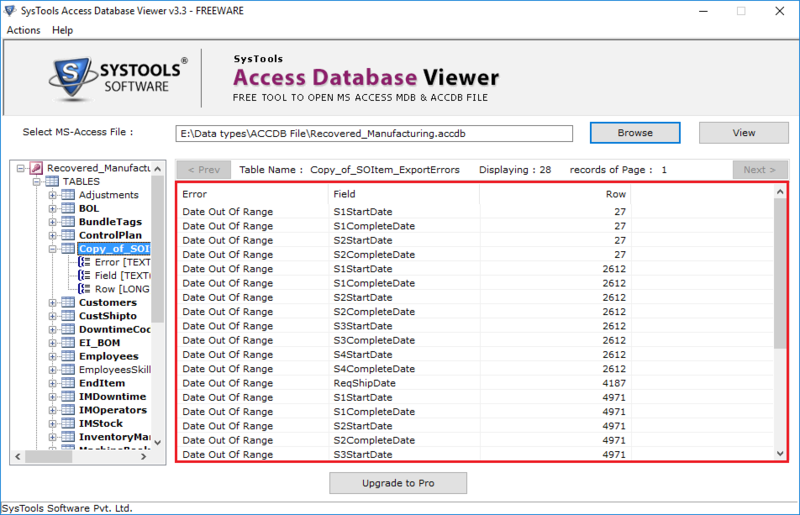 MDB viewer tool allows to view the contents in the database file of older versions of Access. The ACCDB file created in Microsoft Access 2007 & later does not supported to open in earlier versions of Access database. This Access accdb viewer supports to view all the contents of accdb file. Microsoft Access MDB / ACCDB viewer also supports to open and read corrupt database file.